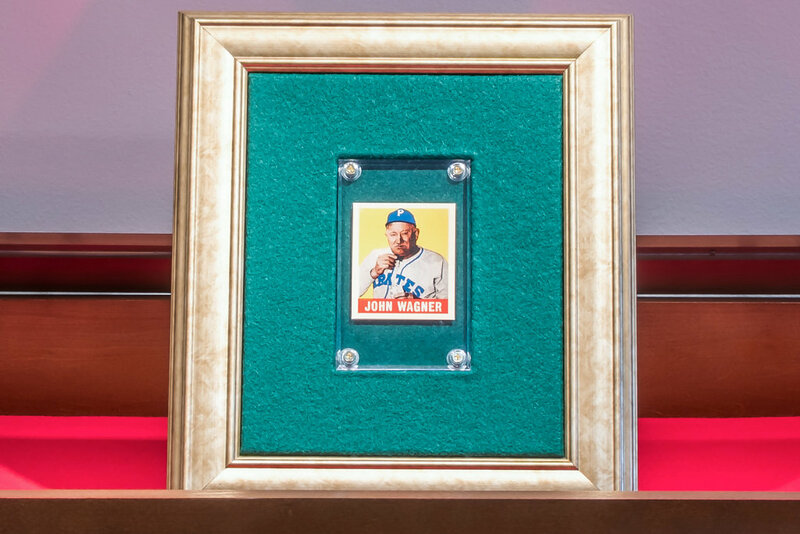 The T206 Honus Wagner is the most valuable baseball card in existence with one fetching $2.8 million at a recent auction. 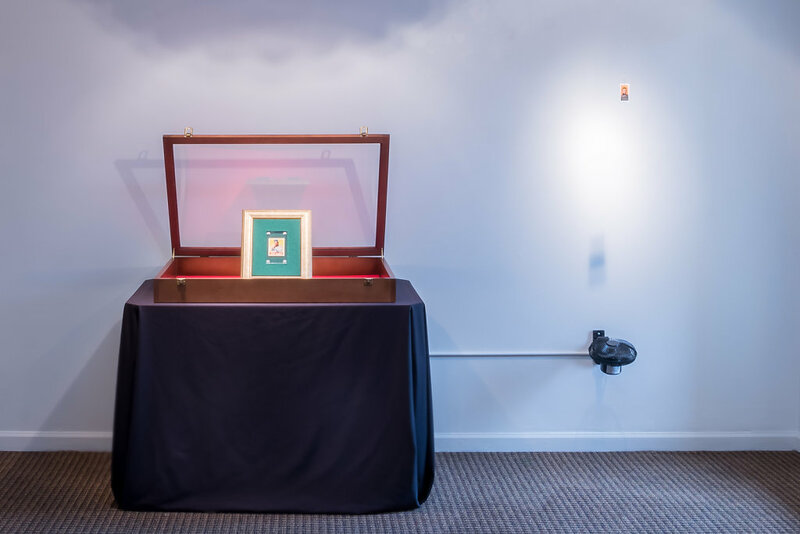 In this installation, Truth, a 1948 John (Honus) Wagner Leaf replica card is displayed prominently in a protective case, enjoying the extra attention normally given to the T206. 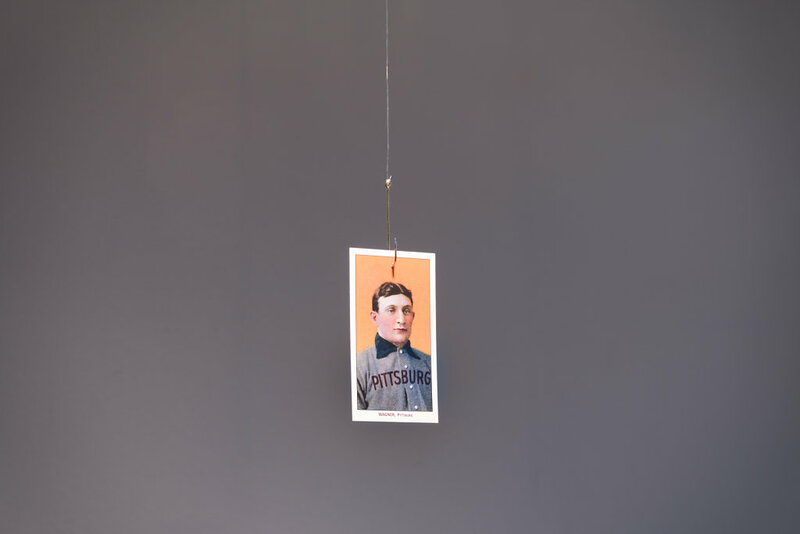 Meanwhile, a T206 replica card dangles precariously on a hook at the end of a fishing line, luring and enticing would be buyers.